We make super delicious superfood snacks with tasty, healthy Living Nutrition™ like whole-prey chicken and flavorful beets. Wellness packs TruFood CocoChia Bakes with coconut oil and chia seeds that can support skin, coat and joint health. Slow-baked in small batches, these healthy meals and snacks are a fundamental source of pet health and happiness, brimming with color and bursting with vital nutrients you can see. 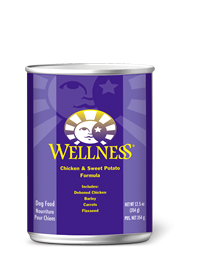 Our newest Wellness food is artfully blended with whole-prey protein, grain-free fiber, antioxidant-rich superfoods and probiotics. See the difference with Living Nutrition™. INGREDIENTS: Chickpeas, Peas, Chicken, Tapioca, Dried Beets, Flaxseed, Coconut Oil, Chia Seeds, Chicken Liver, Chicken Hearts, Chicken Fat, Natural Flavor, Mixed Tocopherols added to preserve freshness, Dried Enterococcus thermophilus Fermentation Product, Dried Lactobacillus bulgaricus Fermentation Product, Rosemary Extract, Green Tea Extract, Spearmint Extract. 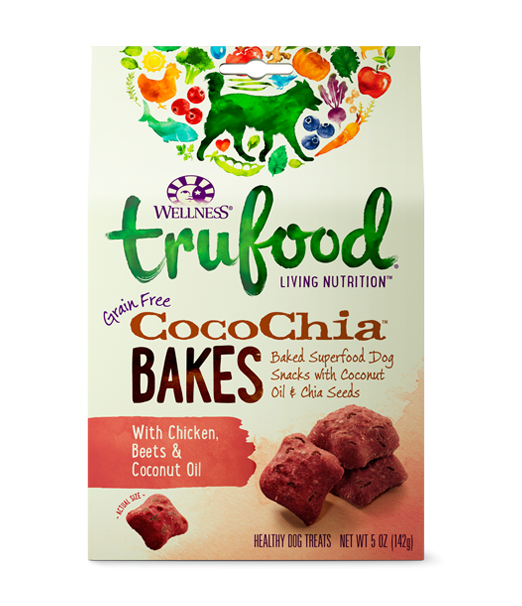 TRUFood CocoChia BAKES with Chicken, Beets & Coconut Oil Dog Treats are intended for intermittent or supplemental feeding only. 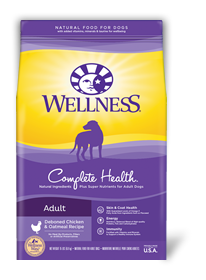 WellBites® Trufood® are intended for intermittent or supplemental feeding only. Calorie Content: This product contains 3,590 kcal/kg or 10 kcal/treat ME (metabolizable energy) on an as fed basis (calculated).